No es para nada mi época, de hecho hasta hace muy poco lo habría considerado demasiado moderno para ser interesante, pero precisamente por eso sera un reto. De momento ya tengo las telas y sólo me queda hacer el diseño definitivo y decidir y dibujar el bordado que llevará. Por suerte será tamaño BJD y no tan complejo para no poderlo terminar a tiempo. ¡Viva la Pepa! XD El estilo imperio es de mis favoritos y además uno de los proyectos que tenía pendientes de hacerme para mí, así que voy a aprovechar y darle una pequeña vuelta de tuerca. 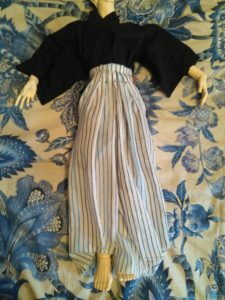 En las bases se permite que traje no sea completamente histórico, y me voy a aprovechar de ello; de momento sólo diré que va a ser para una muñeca tamaño Dahl (ligeramente menor que una Barbie) y que además del traje completo tendrá todos los accesorios necesarios. This year the DPP has changed periods, and here we go again! This time I’ll try to have an entry ready for each category. Not my period at all. I know almost nothing about fashion more recent than 19th century, so it’s going to be a challenge. 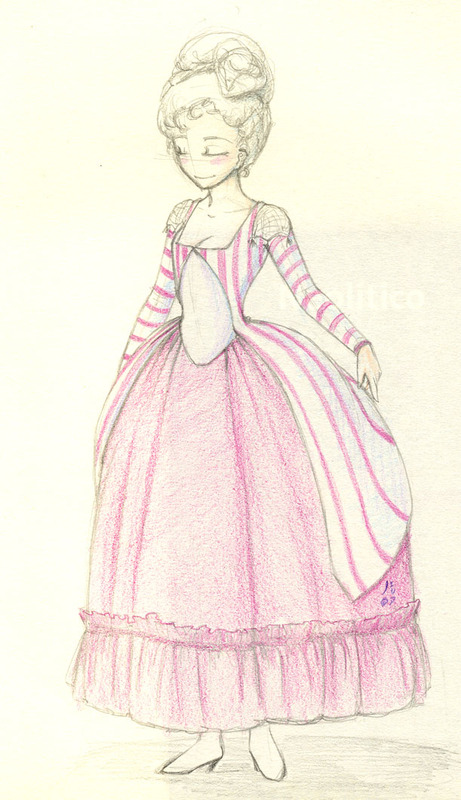 I already have the fabric for this, and now I have to do the definitive design and think how I want to embroider it. 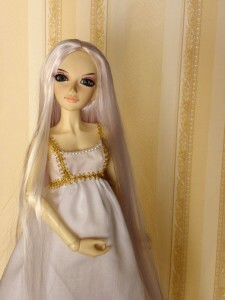 The dress will be BJD size again, so I can have it ready on time. 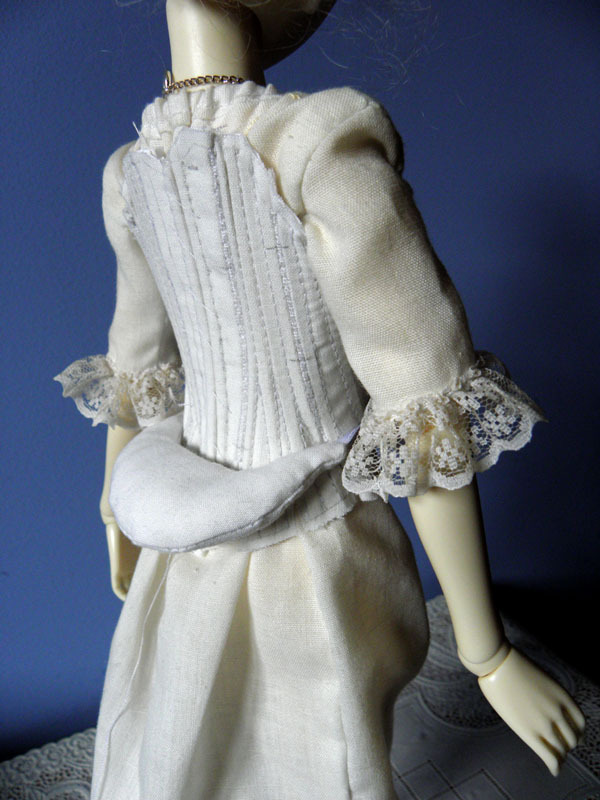 Regency is my favourite style and I already had in mind making a dress in it for myself, so I’m going to go for something a little more special. The rules allow not being completely historically accurate, and I’ll take advantage of it. 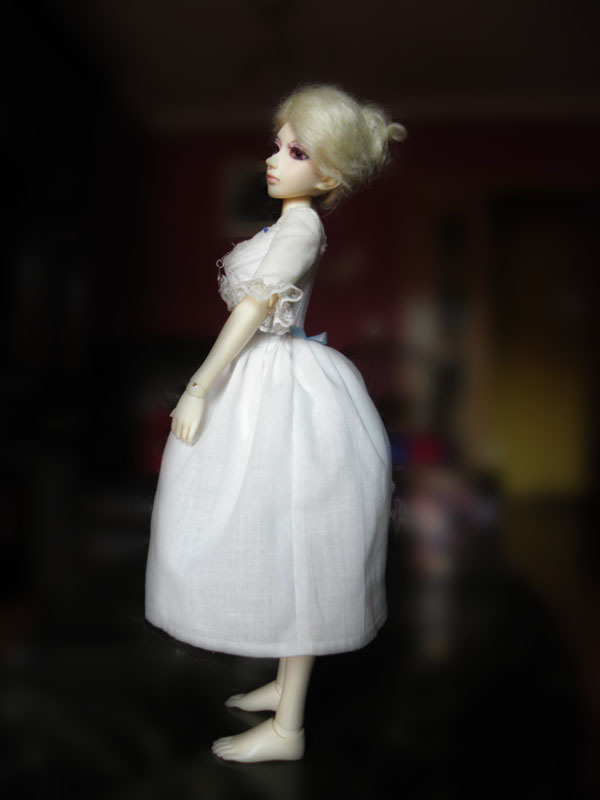 At the moment I’ll only say that it’s going to be Dahl size (a little smaller than Barbie) and that I’ll do a complete ensemble whit all the accesories. I have almost finished the definitive pair of bodies. I only have left binding, welting and sewing the lining. I’ve made a lot of mistakes with it, I should have changed the pattern so the four back pieces where only two, because I almost hadn’t had space for the lacing holes. Regardless of all, it looks really good! 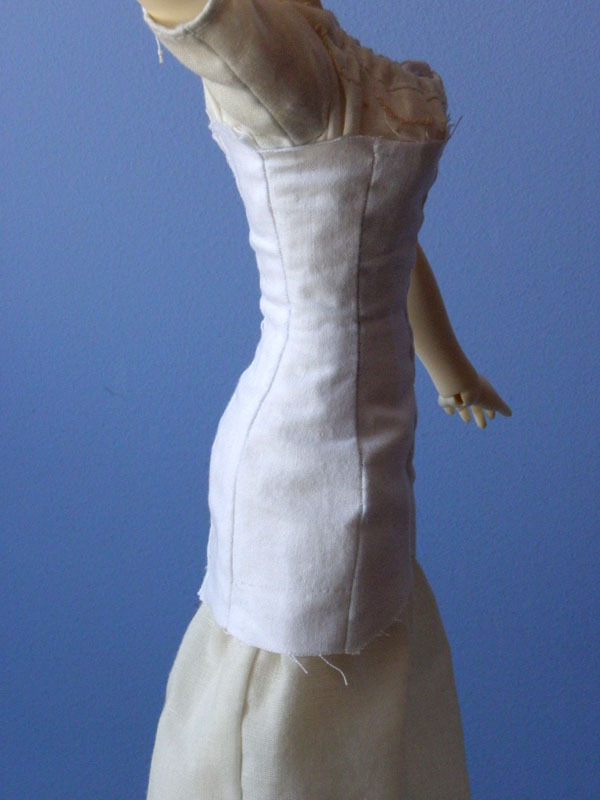 I hope to have it finished by the end of the month (not a lot of time to work on it), so I can begin with the bodice. 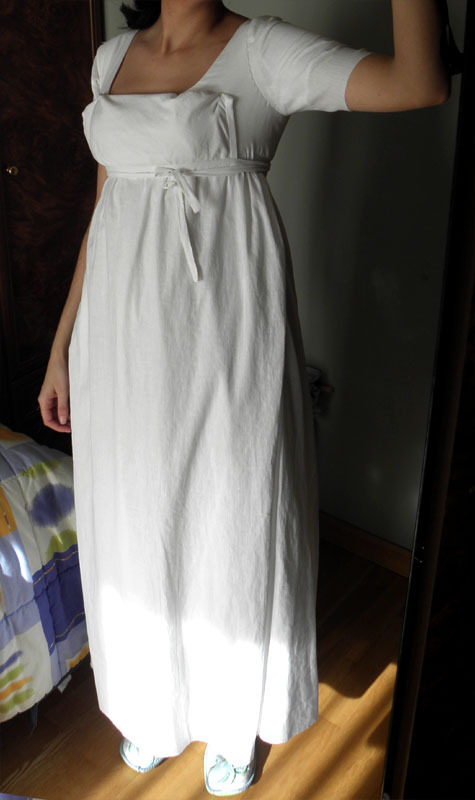 I finished the underpetticoat. I can’t believe it looks so good! I had to use powder blue ribbon for the front tie because I ran out of white, and the result is very nice. 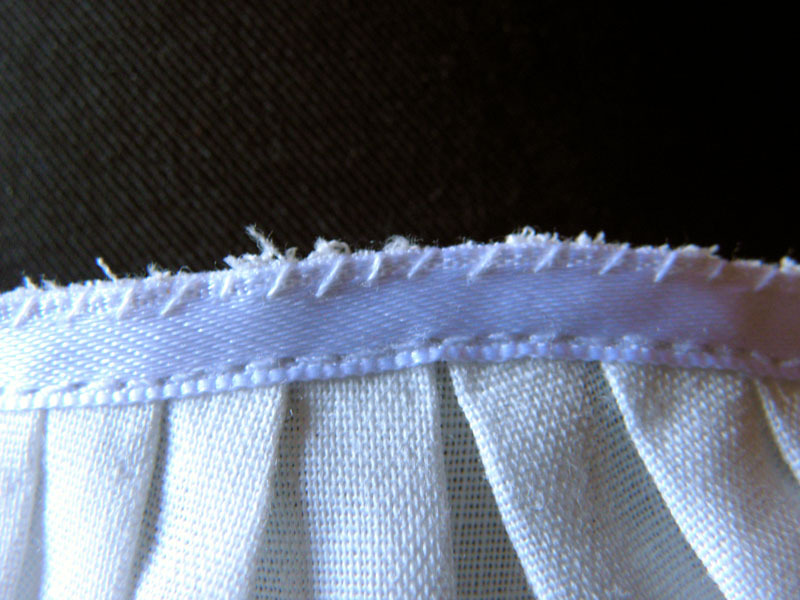 In the detail photo you can see how I attached the ribbon to the underpetticoat. The fabric I used unravels like mad, but I didn’t want the extra bulk I’d have with a hem, so I cut it and whip stitched ribbon and fabric together. The detail pic doesn’t look very neat, but in reality it looks better. 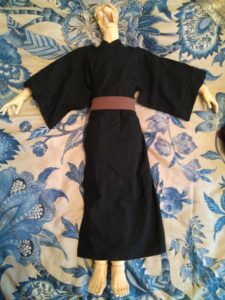 I had finished the two front panels of the definitive stays when I began to feel bored and decided to use the mock-up to continue working in the rest of the garment. I’ve already finished the false rump or “cul de France” (that name makes me giggle like a kid) and have well advanced the underpetticoat. 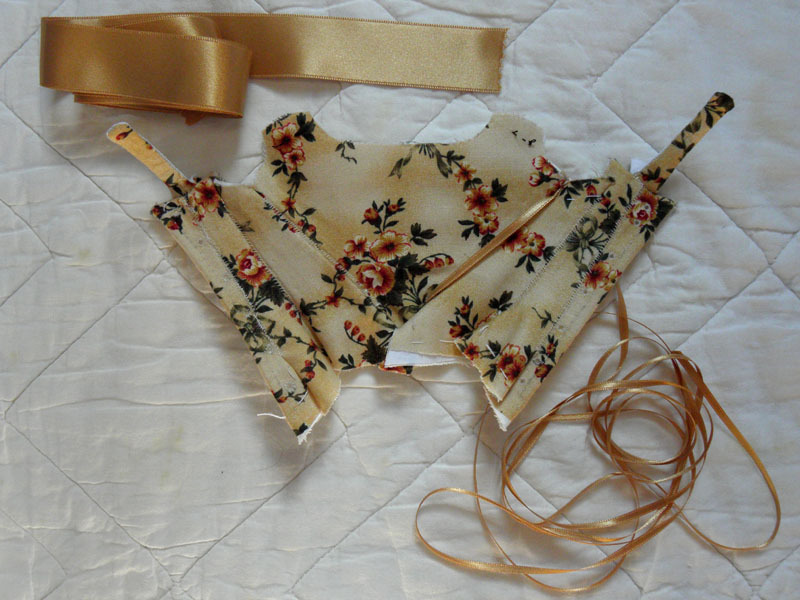 I’m using satin ribbon for the ties in the false rump and underpetticoat to reduce bulk. I’ve also begun to give some thought to the decorations. 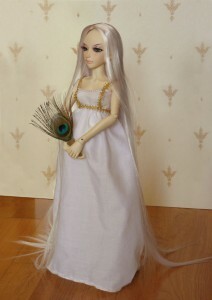 I’m thinking about making some braided cords with silver embroidery thread and lilac beads I have in my stash for the shoulders. I’m beggining to hate sewing stays. Today I finally finished the mock-up, and tomorrow I’ll begin with the definitive stays. 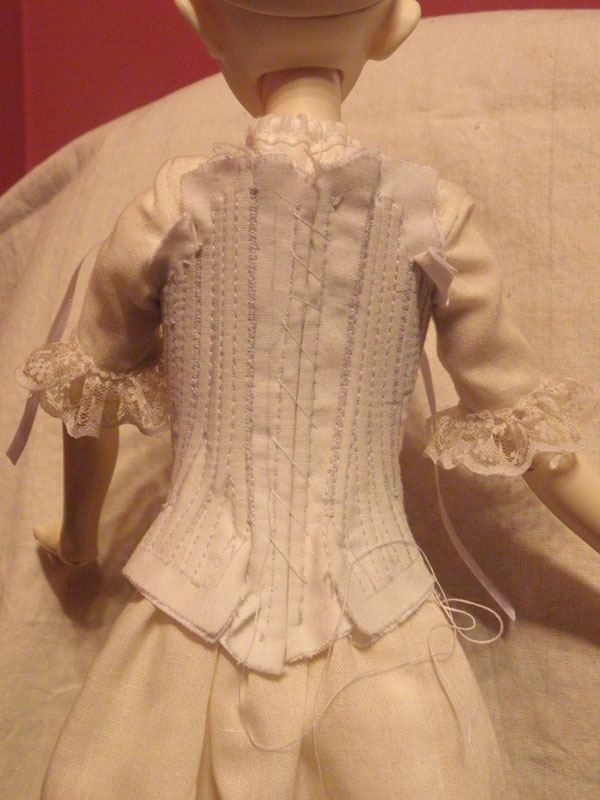 I’ve used the instructions on Cherry Dawson website, but working only with two layers, so the fashion fabric doesn’t show the boning channels when finished. I’ve been lucky and only had to adjust the two front pieces from the original pattern (they fit perfect at the bust, but the waist was a little big) and the placement of the boning channels. This is the first design for my project, it only lacks the decorations. I’m going to use the pattern for the style of polonaise that doesn’t have waist seams, to reduce the bulk there, that will be enough with all the layers this gown has. Now I’m working on pattern for the stays. I resized the pattern for the half boned stays from the pag.16 of Corsets and Crinolines, printed it, joined the pieces and tried it on, and it fits well, so I’ll do a mock-up with boning (cable ties, they are cheap and easy to find) to be sure before I cut the good fabric.